Each Spring a primordial urge pulls me out of the house –paring knife and bowl in hand– to the weedy natural area at the far edge of my yard. Luscious green dandelion plants peek through the brown leaf-covered grass. The winter has been long and hard, and I desperately need to renew myself. The tender foraged greens are my spring tonic (as they were for my parents and grandparents). People traditionally ate a very limited selection of foods during the late winter months, and often they were nutrient-deprived by April. Their bodies told them they needed the vitamins, minerals, and antioxidants provided by the emerging dandelion leaves. Since I’m a dandelion connoisseur (Is it possible to be a connoisseur of weeds?) , I was thrilled to find a hundred-year-old recipe for Dandelion with Ham or Bacon. Here Are 9 Wild Edible Mushrooms You Can Forage This Spring! Before I introduce the new video, I want to let you know that I’ll be an instructor at the upcoming Blue Hills Forager’s Gathering along with Samuel Thayer and Melissa Price (Forager’s Harvest) and Ellen Zachos (Backyard Forager). This event will take place the weekend of May 17-19th in Bruce, Wisconsin. The Blue Hills Forager’s Gathering will focus on gathering and preparing meals from food we forage together during the weekend classes and walks, and people of all skill levels are welcome to attend. And now on to this week’s brand new video. I’ll bet I’m not the only one who’s excited that spring is finally here. There’s something about budding trees, budding plants, and budding mushrooms that brings immense pleasure to those of us very accustomed to months of cold and darkness. To celebrate the birth of another growing season, I thought I’d film a list of 9 wild mushrooms that you can forage during the spring months. These mushrooms are edible, they’re tasty, and they might soon be popping up in your neck of the woods. Some of these species can be quite elusive, and if you want to learn some tips on where to find them, check out the brand new video! In addition to fungi, spring ephemeral wildflowers are blooming! Pictured here is a rare species that’s among the first to flower near my home, and it’s a plant I look forward to seeing every spring. 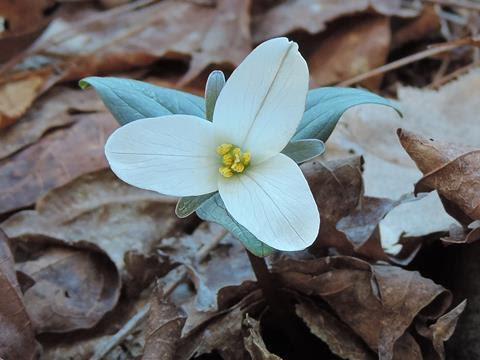 Have you seen Snow Trillium? Check out this recent Instagram post to learn more! Thanks for reading and watching… and as always, thank you for your support! This is a perfect Sunday morning breakfast, when you have the time to really sit down and enjoy it, and also the time to walk off the 1000 calories it is bound to have! 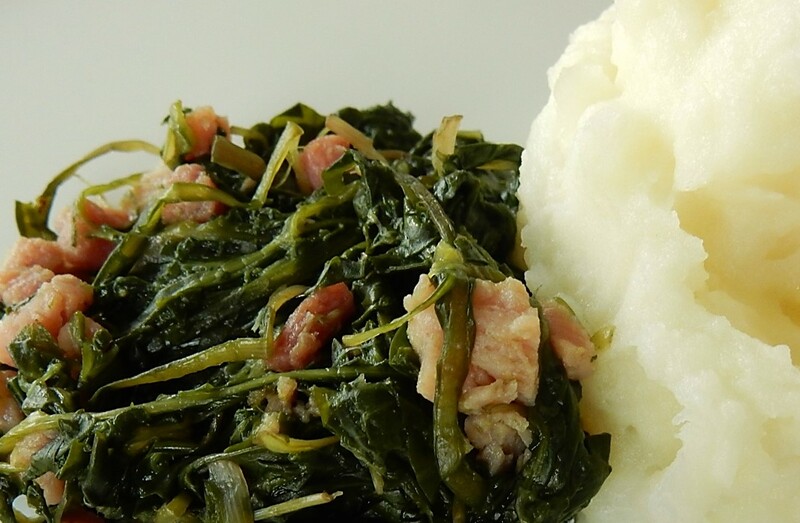 Spring is wild garlic season and this recipe really brings out the best of the flavor whilst still maintaining a delicacy. If you can’t get hold of any wild garlic the you can supplement for chard, and add chives and spring onions for the little kick. Heat oven to 200°C/180°C fan/gas 6. Heat a knob of butter in a small, oven-proof frying pan and cook the chard with a splash of water, cook to wilt. While violets’ delicate blossoms are a treat only for the observant, the plant has enjoyed a long history of medicinal and culinary use. I love this tree. It’s an all purpose tree with beautiful wood for woodworking and fragrant in campfires and bar-b-ques. Arctostaphylos Manzanita is in the family of the Ericaceae. Various names are Greenleaf manzanita; Big berry plant (Navajo); Big Manzanita, Mariposa Manzanita, Whiteleaf Manzanita; Madroño Borracho, Pinguica. They grow along in California, Nevada and Oregon up to the west slopes of the Sierras into the Great Basin and Rocky Mountains. In some areas they are large trees and some are like shrubs, all have a beautiful smooth, matte-finished red bark and a light to medium sage colored evergreen leaves. Do You Recognize This Poisonous Plant? This project has been a labor of intense love for the past two years and I’m really excited to share it with you! Registration is set to be open early May, and the best way to stay up-to-date with the release of this course is to continue checking these emails. Updates will also be posted to the Learn Your Land website shortly. And now on to this week’s video! During a recent walk through the woods, I was happy to unexpectedly see a particular medicinal plant whose winter buds and twigs I enjoy. 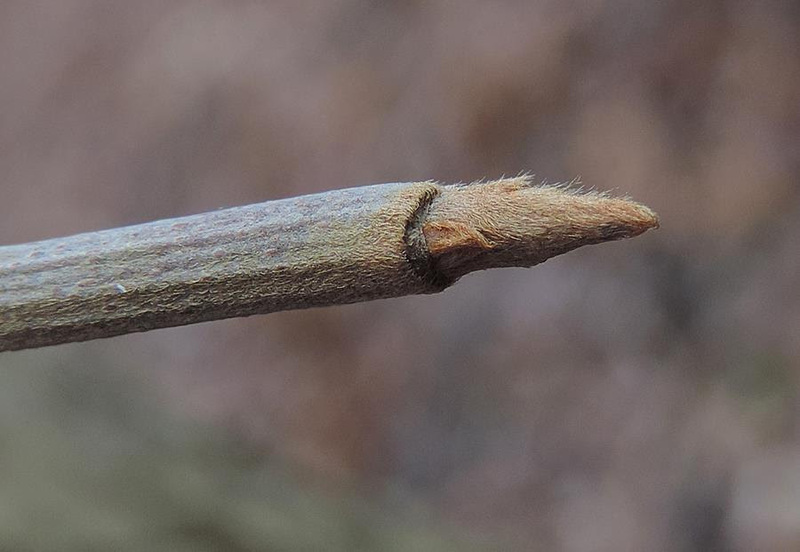 Upon closer inspection, I realized that not all the buds and twigs in front of me belonged to this medicinal species. Instead, many shoots around my desired plant actually belonged to a poisonous species. Luckily, I left the woods unscathed, though I thought I’d film the situation for anyone interested in safely foraging wild medicinal plants. 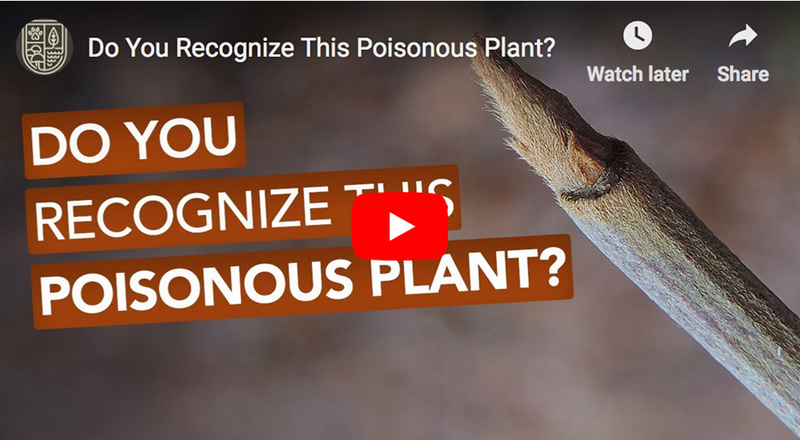 Do you recognize this poisonous plant? Check out the brand new video to learn more! 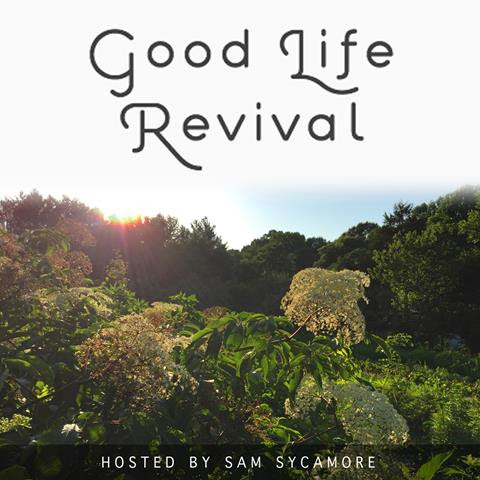 I recently had the pleasure of being interviewed by Sam Sycamore from the Good Life Revival Podcast. In this interview, we talk about the intersection of health and nature connection, the benefits of knowing how to read the land, and lots more! You can listen and download the interview here. Thanks for reading, watching, and/or listening… and as always, thank you for your support! 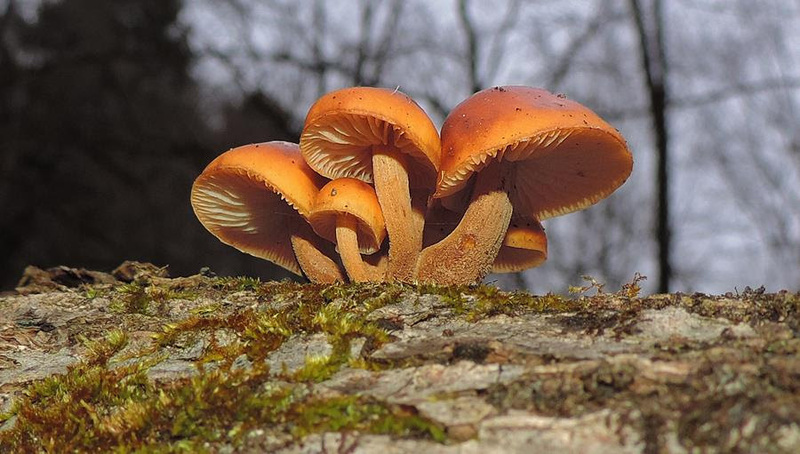 Classifying wild mushrooms as edible or not edible isn’t as straightforward as one may think. Confusing matters even more, the labels edible and poisonous aren’t always clearly defined either. Take the mushroom pictured above, for example. 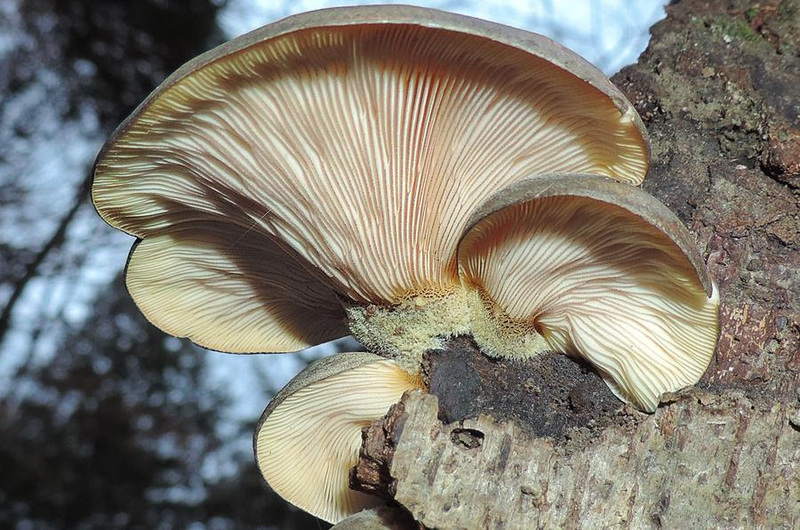 Its name is the Late Fall Oyster, and this wild mushroom is listed in many field guides as edible. It’s no surprise, then, that countless hungry mushroom enthusiasts forage and eat the Late Fall Oyster every year. 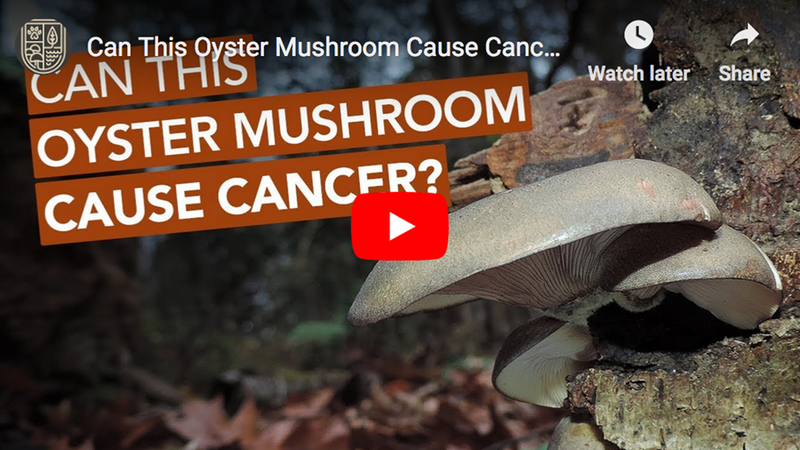 However, if you do a little digging around online, you’ll eventually encounter the warning that the Late Fall Oyster is potentially carcinogenic. Consequently, many people recommend against eating this fungus due to the possibility that it may contain cancer-causing compounds. I’ve heard both sides of the story, and having eaten the Late Fall Oyster in the past, I was recently inspired to discover any “truth” to this issue. After a little bit of work and research, I received some answers. If you’d like to learn more about the controversial status regarding the Late Fall Oyster’s edibility, check out the brand new video! If you love Eastern Skunk Cabbage, thank a fungus! 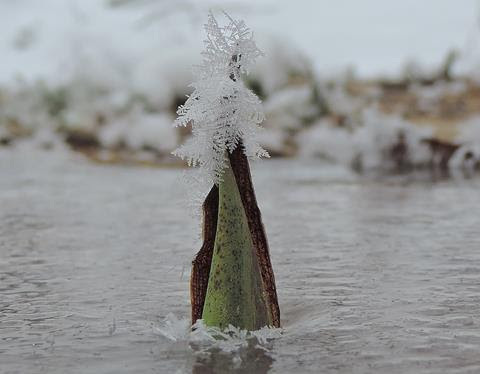 It may not seem obvious, though fungi contribute immensely to the health and success of wetland habitats. To learn more about this intimate relationship between two very different organisms, check out the recent Instagram post! Thanks for reading and watching, and as always, thank you for your support! Looking For Something To Forage This Weekend? Check Out These Jelly Mushrooms! In my neck of the woods, January is certainly not the most prolific month in terms of wild edible mushrooms. Snow-covered soil and freezing temperatures aren’t very conducive to ample mushroom activity. Lately, however, conditions around here have been quite different. The ground is devoid of snow and temperatures have been mild. 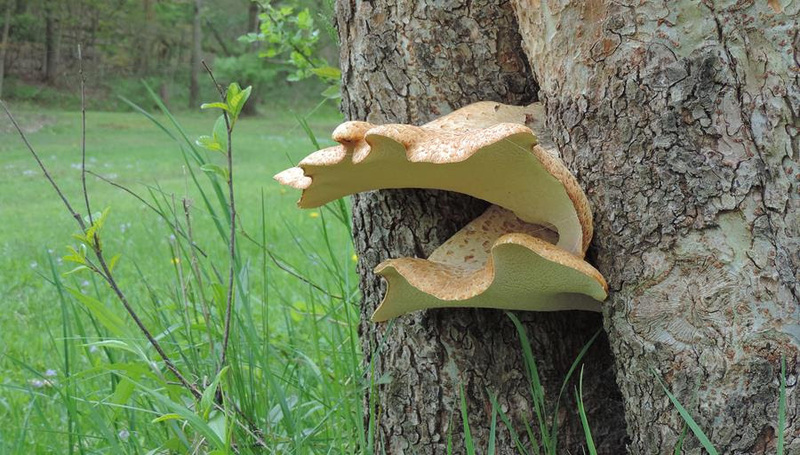 As a result, our wild woody decomposers — in particular, the fungi that feed on trees — continue to thrive. Chief among these winter woody decomposers are our jelly fungi. These mushrooms are unique in that their fruiting bodies can persist for months on a stick, log, or stump in a dehydrated or frozen state… only to rebound during a winter rain or warm spell. Two fascinating jelly fungi that flourish during the winter season include the world-famous Wood Ear (popular in soup recipes) and the Amber Jelly Roll (a close look-alike). 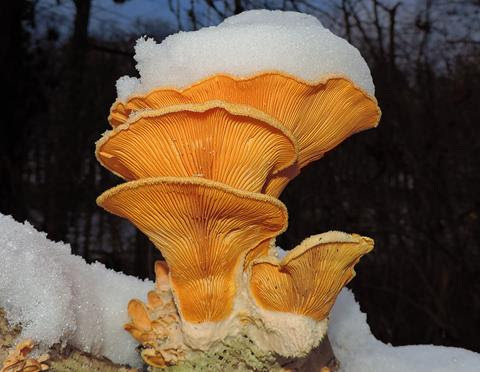 Both mushrooms are edible and both are often found in abundance… even amongst snow and freezing temperatures. 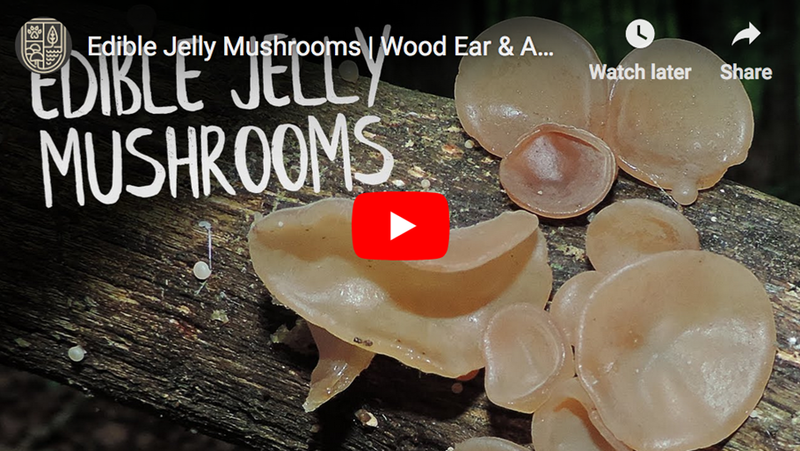 If you’re interested in foraging these two enticing jelly fungi this weekend (and perhaps all winter long), check out the brand new video! 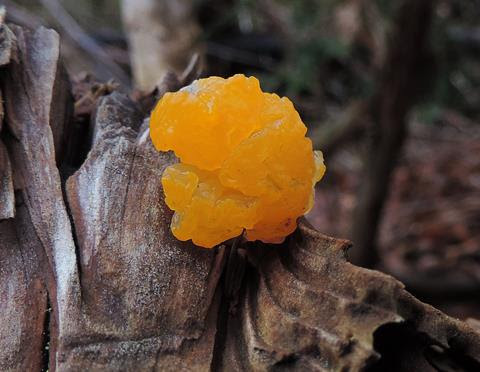 Speaking of edible gelatinous mushrooms, the Orange Jelly Fungus is another common component of the winter forest. Though I don’t feature this species in the aforementioned video, I do discuss its key features in a recent Instagram post. Check it out! First, I want to say “thank you!” to everyone who purchased a medicinal mushroom tincture last week during the online sale. I didn’t expect this to happen so quickly, though I sold out of my entire inventory and no longer have any products in stock. If you’re interested in purchasing medicinal mushroom tinctures, I will have more available toward the end of January. Second, let’s talk about Enoki — a wild edible mushroom you can forage during the coldest months of the year. This fungus, also known as Enokitake and Velvet Foot, is often overlooked in the wild due to its smaller size. Interestingly, Enoki is cultivated on a commercial scale and can also be purchased in many grocery stores. Before you begin your search for wild Enoki mushrooms, however, there’s one thing you should know. Enoki is not the easiest mushroom to positively identify. 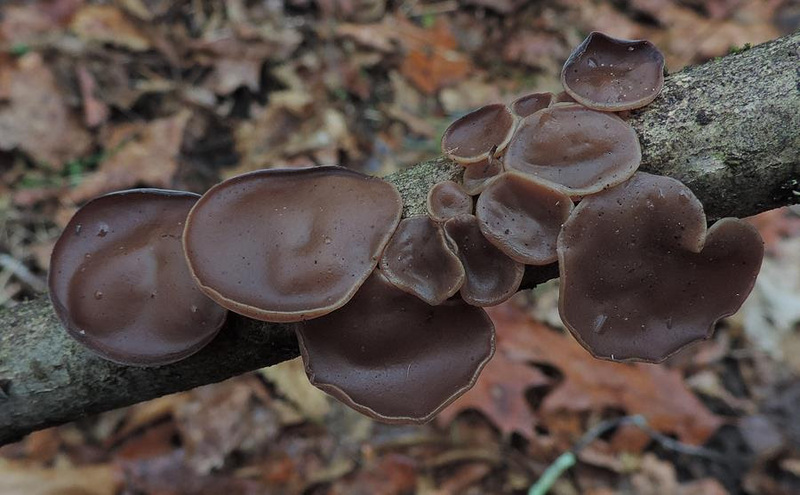 It resembles several other LBMs (little brown mushrooms) that grow in similar habitats during similar seasons. To make matters a bit riskier, some of these LBMs are very toxic. 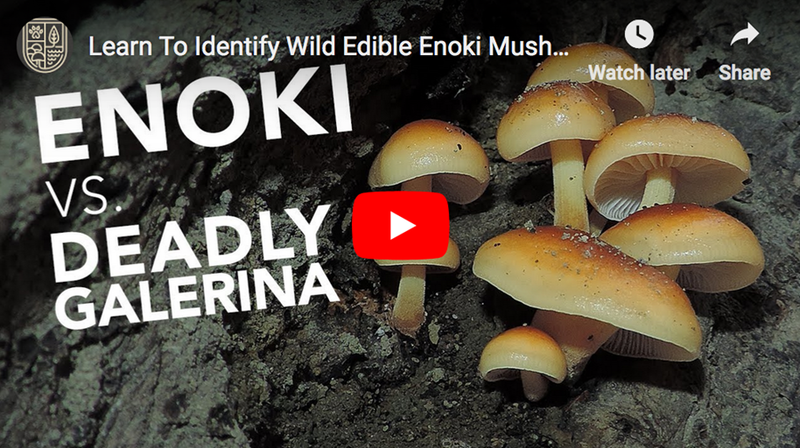 In this new video, I share some tips on positively identifying the wild Enoki mushroom. I also compare and contrast this species to the Deadly Galerina — a poisonous LBM that could be confused for the edible Enoki mushroom. 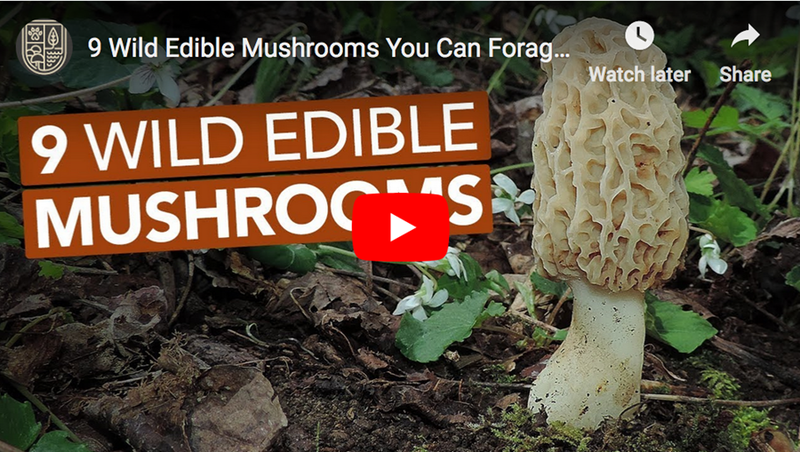 If you’re interested in safely and confidently harvesting wild edible mushrooms this winter season, check out the brand new video!